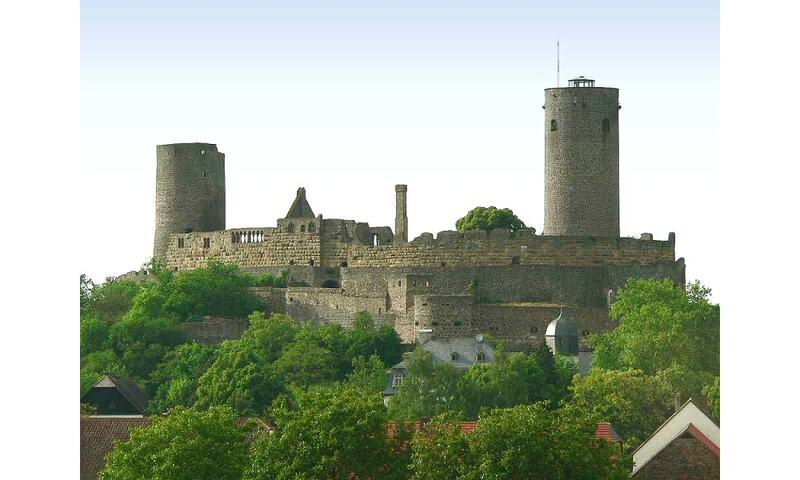 Munzenberg Castle is one of the best preserved castles from the High Middle Ages in Germany. A striking feature of Munzenberg Castle is that it has two tall defensive towers, a structure known as a bergfried. Such a tower is a typical feature of castles in the region, but there is usually only one, forming the strongest point of the castle. The bergfrieds at Munzenberg are both round, the taller one being 29 meters high.